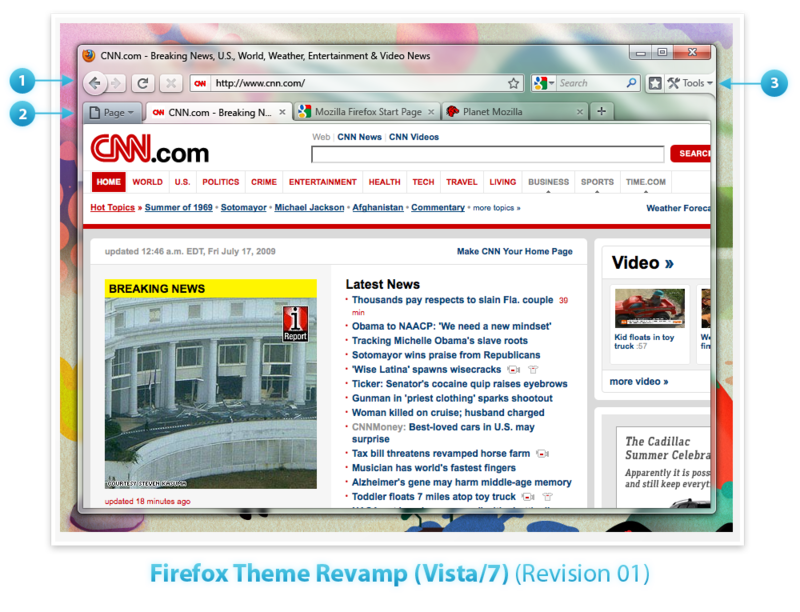 On the Mozilla Wiki, you can now see a mockup for what Mozilla calls Firefox 3.7, on Windows. And man, is it looking good. I won't get my hopes up again. But here's to hoping they make this happen. And unlike with the current theme/chrome/whatever they call it, this one looks as nice on all the major platforms: Windows Vista/7, Windows XP, and Mac OS X. (The current version curiously looks best on XP, to me.) Check out the Wiki for XP shots. Thanks very much to Stan B. for forwarding this info.